A brand new science title in the renowned graphic novel-style of the Introducing Graphic Guide series. Epigenetics is the most exciting field in biology today, developing our understanding of how and why we inherit certain traits, develop diseases and age, and evolve as a species. 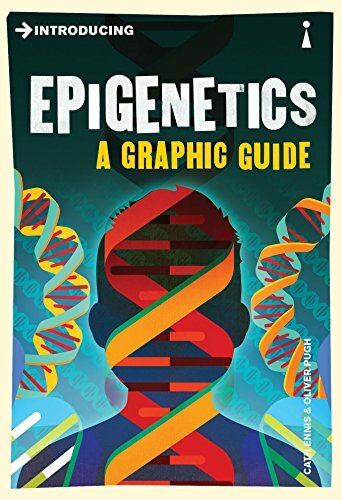 This non-fiction comic book introduces us to genetics, cell biology and the fascinating science of epigenetics, which is rapidly filling in the gaps in our knowledge, allowing us to make huge advances in medicine. We'll look at what identical twins can teach us about the epigenetic effects of our environment and experiences, why certain genes are 'switched on' or off at various stages of embryonic development, and how scientists have reversed the specialization of cells to clone frogs from a single gut cell. In Introducing Epigenetics, Cath Ennis and Oliver Pugh pull apart the double helix, examining how the epigenetic building blocks and messengers that interpret and edit our genes help to make us, well, us.